The term non-lactating can be confusing and is often misinterpreted to mean that the use of drugs approved for use in non-lactating cows can be used in dry cows. However, the U.S. Food and Drug Administration (FDA) Center for Veterinary Medicine defines the term non-lactating dairy cattle to include replacement dairy heifers, replacement dairy bulls and dairy calves. This does not include dry dairy cows or cows that are between two lactations. 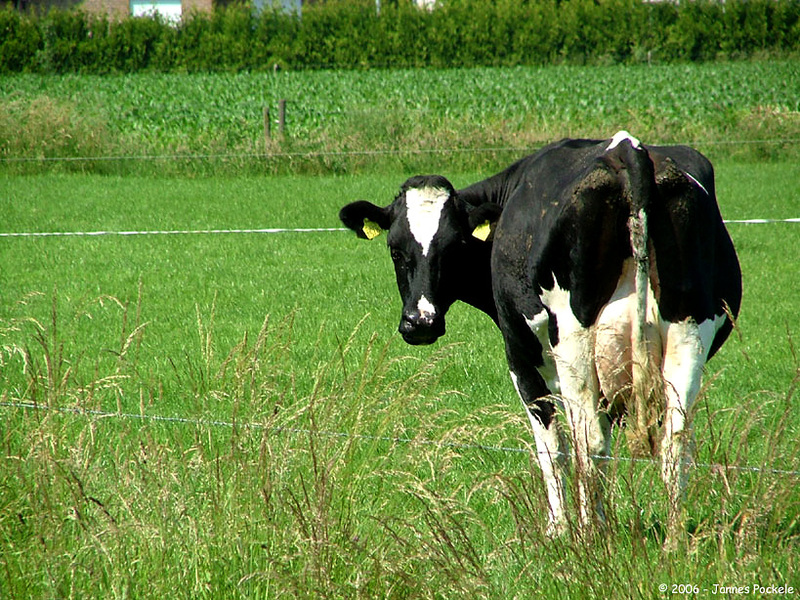 Non-lactating dairy cattle have not yet, or never will produce milk for human consumption. Dry cows on the other hand have previously produced milk for human consumption and will again after the completion of the dry period between lactations. 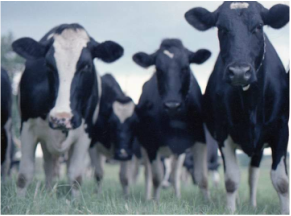 These standards are reflected in CVM's Guidance for Industry (GFI) #191 (Appendix III, Species and Classes of Major Food Animals) and in a previously published CVM Update. For a number of medications, usually medications that are labelled for use in lactating dairy cattle, a tolerance for the medication exists in milk. Find FDA approved milk tolerances below. Milk replacers that are currently Over-The-Counter containing antibiotics that are considered to be medically important for use in human medicine, eg. oxytetracycline, will need to transition to VFD or prescription status by January 1st, 2017. Those currently approved as Medicated feeds Type A, B or C will become VFD and those currently approved as soluble powders will need to transition to a prescription status. As part of this transition, products meant to be fed continuously will likely become unavailable. Products will have only therapeutic indications and have a defined treatment duration. The FDA considers the use of medications in a production class of animal not approved on the label to be an extralabel use. There is no tolerance in edible tissues or milk when a drug is used extralabel in an unapproved class of food animal. In such cases, any amount of drug detected in meat or milk is a violative residue. Therefore, an extended withdrawal interval for meat and milk is necessary to ensure there is no detectable level of residue in these products. The best examples are Florfenicol (Nuflor) and Tulathromycin (Draxxin). When Nuflor is used in beef cattle according to FDA label, there is a 28 and 38 day meat withdrawal for intramuscular and subcutaneous routes of administration. However, when this product is used extralabel in female dairy cattle ≥20 months of age, dry or lactating dairy cows, FARAD recommends a meat withdrawal interval of 60-120 days depending on how the drug is used. In addition, testing the milk and urine with the Charm II test for amphenicols is advised. Since florfenicol is not labeled for use in dry or lactating cattle, any residue in milk or meat at slaughter would be a violation according to regulatory agencies. Similarly, tulathromycin (Draxxin) is labeled for use in calves and beef cattle with a meat withdrawal time of 18 days. Tulathromycin residues can be very long lasting in tissues. In one of the studies used to gain FDA approval, residues in the liver and kidney were still detectable at 48 days post-label dose. Since the label for Draxxin specifically excludes dairy cattle over 20 months of age, there is a zero level tolerance in milk and meat. 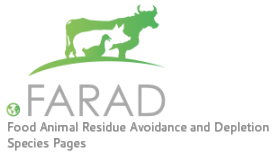 According to the dose given and frequency for extralabel use, FARAD recommends a 45-60 day meat and milk withhold plus testing using the Charm II macrolide test to ensure that residues fall below the level of detection of USDA testing. 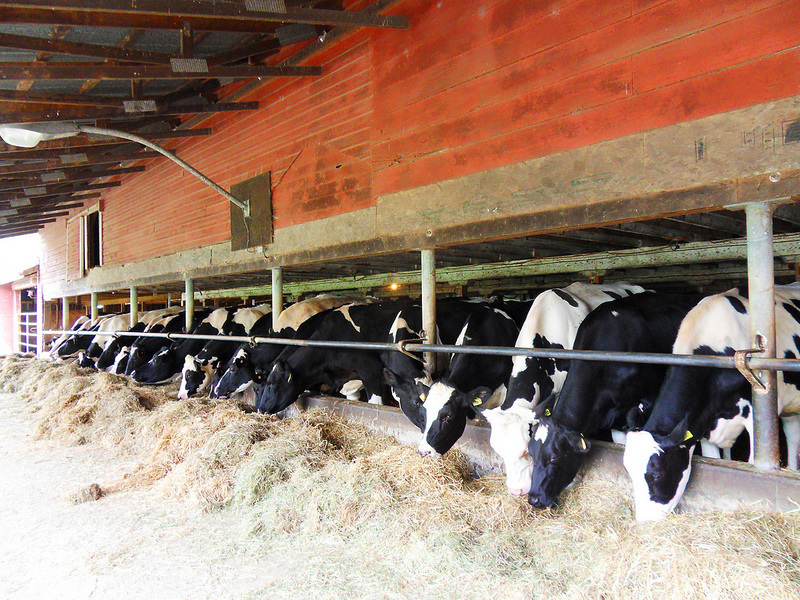 Cows with mastitis may require a longer milk withdrawal than the FDA withdrawal time. An NCSU study found that the elimination of flunixin in mastitic cows treated intravenously was slower compared to healthy cows leading to violative milk residues in mastitic cows beyond the FDA withdrawal time of 36 hours. 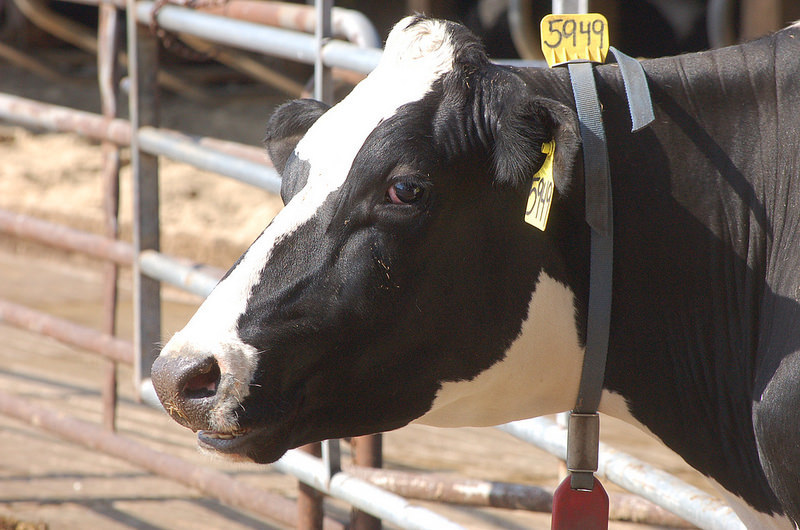 In healthy cows, flunixin residues were not detected in milk after 24 hours of dosing. Cows producing less than 20 kg/day milk had an altered flunixin clearance which may be another contributing factor to persistent residues. Residues are even longer when treated with extralabel routes including IM and SC administration. Because the drug residue screening tests are designed for use for bulk tank testing, the manufacturer's directions should be consulted to be sure that the test may also be used for individual cow screening. Alternatively, the creamery may be willing to test the milk or Iowa State University has a program where milk samples can be submitted for testing. Medicated feeds containing only ionophores/coccidiostats/bambermycins/anti-parasitics are not affected by the new regulations. Only feeds containing antibiotics classified as important for use in human medicine (per GFI#152) will transition to VFD. Combination feeds with both a coccidiostat, etc. and a medically important antibiotic will transition to VFD.